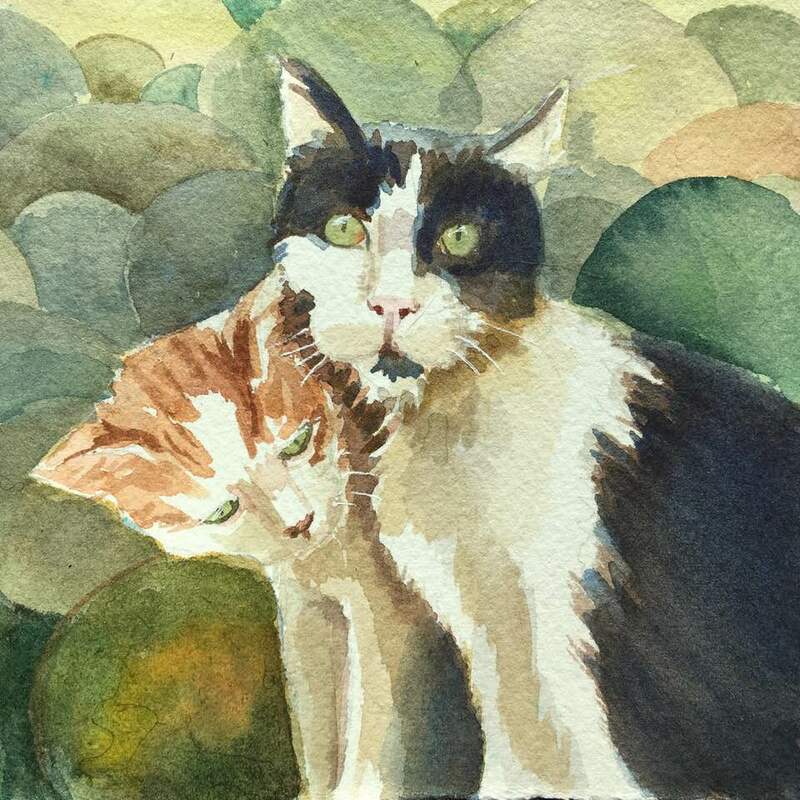 I painted this winsome couple of kitties and was delighted at the expression on Sparky, the tuxedo cat’s face. Sparky is a favorite at the Ernesto cat sanctuary, and he’s being affectionately rubbed by Sumy, one of the adolescent kittens. This painting is for sale for $70, free shipping in the USA. Aggie is a grey cat with silvery tips on all of her hairs. She can look so plain or exquisite. A little sun makes her glow. Here she is, delicately washing. 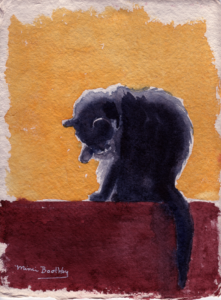 This painting measures 6″ x 8″ and the paper was hand made in an Indian village. The painting is for sale for $60 all proceeds of the sales of my paintings go towards non profits. For one of my recent assignments, I was to study glow. 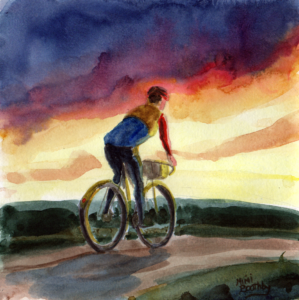 After painting dozens of flowers, it seemed like I needed a break, so I painted a randonneur instead. Who else would be peacefully beginning a bike ride at sunset. 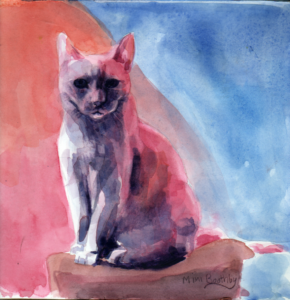 Painting measures 8″ x 8″ and is for sale, all proceeds go to wildlife conservation. I have really been enjoying the quality of the photos that has been coming from facebook. 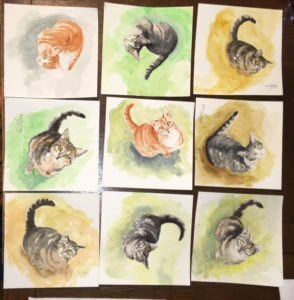 Some of them really caught my eye, endearing, but not traditional views of cats. I decided to make a series of them. They will be featured for sale at a later date. Maxi is one of the featured cats. Maybe someone else knows who the others are.